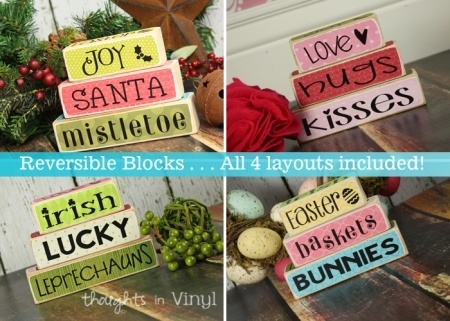 This fun unfinished craft kit can be rotated to feature four different holidays or season. 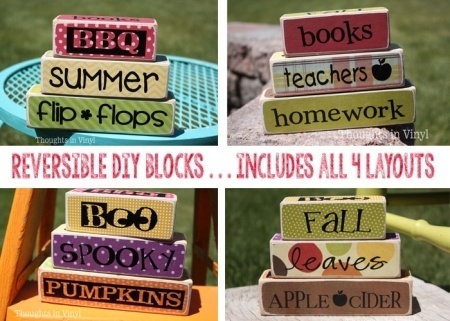 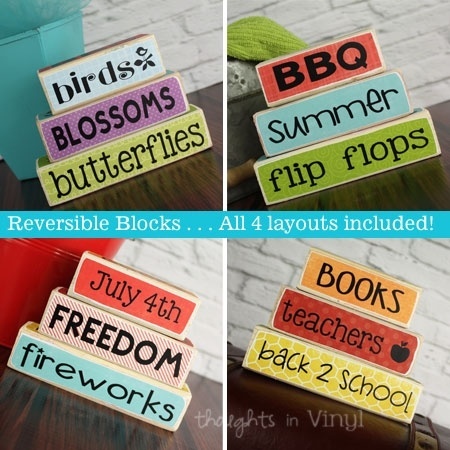 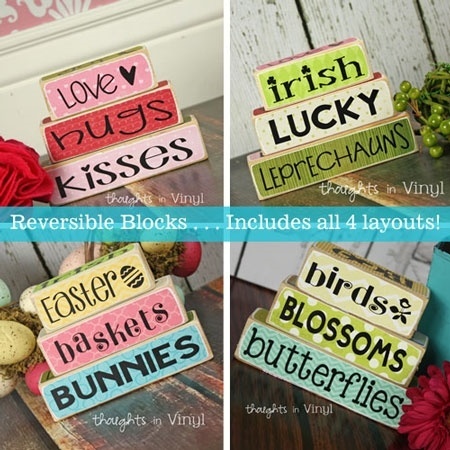 Simply paint or modpodge scrapbook paper onto the wooden blocks and then apply the vinyl lettering. 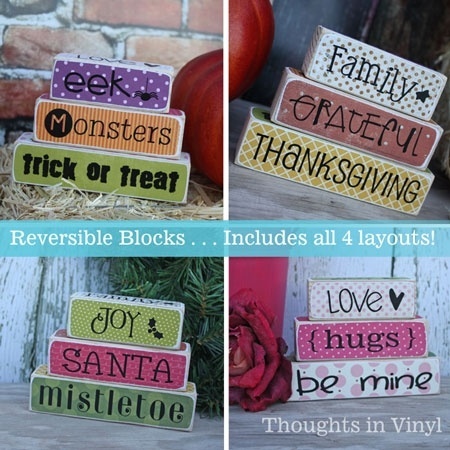 Overall size of craft is 10" wide x about 4 1/2" tall.